Have you seen films downloading sites movie titles look like “Transformers: Dark of the Moon (2011) BRRip “ or “Drive (2011) DVDScr 325mb”. And some times these names get more complicated with added words like “extended”, “Xvid”, “1080” etc. So what do they means ?Is it important to know them? Yes it it is important to know them if you download films from these sites. They tell some valuable information about the video you are downloading. The source where of this video, technique used to convert this video file format, file size resolution are some of the information in them. I going to provide you with meanings of these words here. 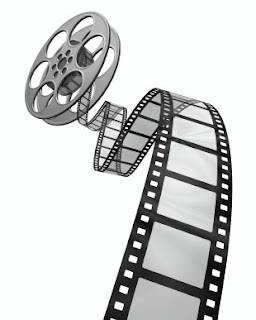 DVDrip – The video was ripped from a DVD of the film which usually have good picture quality. BRrip/BDrip – It is ripped from a Blu-ray disk and has excellent quality and resolution. Better than DVDrips. CAM – These are video recorded in theaters using a Digital video camera. Some times the videos are shaking because of hand held camers. Some time u may see people walk across the screen and laughing. Sound can be very poor quality usually recorded with on board mic of the camera. Has very poor picture quality usually dark reddish images. TS – Stand for Telesync and this is a video similar to CAM version but audio is recorded from direct feed usually the headphone line in the theater. Even though this also have poor quality audio. TC – Stand for Telecine and video is directly copied from the actual film reel using a telecine machine. The quality may vary according to the equipment used for ripping. May have inferior quality than DVD because the poor quality reel. R5 – This refers to ripped from DVD released in Region 5 (India, Russia, Africa). They telecine from films usually have good quality. May be the English audio track was added later so it can have poor audio quality. (Line tag indicate this). this may also lack picture quality as no image processing was done after ripping. This is low coast DVD release. It may helpful to know the DVD regions. See them here. Scr/DVDScr – This are ripped from promotional VHS tape/ DVDs. The quality may be differ according to the equipment used and skill of the ripper. Some times good as DVDrip. But usually these contain banners saying promotional video that will disrupt viewing. Some scenes are B&W. PPVrip – This is video captured from Pay Per View source. This can be PPV channel, or PPV in hotel rooms. these missing some scenes. The video quality may be sometimes poor. WP – Workprint is unfinished copy of the film. This may missing visual effects music, overlays, ediiting. So if it is a film with lost of effects this will look like total mess. VODrip – Captured from on demand source such as cable or satellite TV and connecting computer to get them. The quality may vary according to the technology whether it directly download the source file using a software or screen capture which give low quality. HDTV/TVrip/DSR – These are types of TV capturing using different methods they can vary according to the source. DDC – Digital distribution copy. This are same as Screeners but distributed digitally. Low quality than R5 but higher than CAM. PDVDrip – This DVDs sold before the release of the actual DVD release. These May be pirated copies of movies sold as DVD that mean DVDScr, CAM or TS. These are not DVDrip. These will be some of the most common types of videos available. There are some other TAGs in movie titles which will be told inn the second part of this post. well done brothers....keep it up..
Let’s start with the most obvious, DVDRIP. A DVDRIP is a copy of the final released DVD. If possible this is released PRE retail (for example, Star Wars episode 2) again, should be excellent quality. DVDrips are released in SVCD and DivX/XviD. They usually are of good quality depending of course on the quality of the ripping software used and the DVD source. Typically they are about 700MB in size so you could burn them to blank CDs and stow. Axxo is one of the most popular submitters of DVDRIPs in the torrent world. Read my previous post on how to rip your own DVDs. A BRRIP, on the other hand, is a higher quality format since it is ripped from Blue Ray discs. The BRRIP is usually 720p in resolution and usually comes with an audio of 5.1 channels. Compare that to 420p of DVDRIP with stereo channel audio. A screener is an advance screening of a film sent to critics, awards voters, video stores (for their manager and employees), and other film industry professionals, including producers and distributors. A DVD SCR is a screener, but transferred off a DVD. Usually in a letterbox aspect ratio, but without the extras that a DVD retail would contain. The ticker is not usually in the black bars, and will disrupt the viewing. If the ripper has any skill, a DVDscr should be very good. Usually transferred to SVCD or DivX/XviD. A CAM is a theater rip usually done with a digital video camera. A mini tripod is sometimes used, but a lot of the time this wont be possible (because it is illegal), so the camera often shakes. Also seating placement isn’t always ideal, and it might be filmed from an angle. Sound is taken from the onboard microphone of the camera, and especially in comedies, laughter can often be heard during the film. Due to these factors, picture and sound quality are usually quite poor, but sometimes we’re lucky, and the theater will be fairly empty and a fairly clear signal will be heard. If you really like the movie, I advice you skip this type of download as it is the most horrible of the other formats. Wait for the DVD or BR rip instead. Before you download a movie overnight, make sure you understand the movie’s quality based on its tag. Also put a little common sense, a movie that just came out on cinemas won’t have a DVD rip yet. There are a lot of movies with fake tags to get hits from unknowing users, so watch out! Not really, BRRip has better quality than DVDRip. You can have most of the HDRips in good quality (Note: not HDTS, HDTV) and sometimes good quality WEBRip and R6. I would say look for the resolution also. That in short 1080p or 720p BRRip is what you should look for. So all these files are pirated versions of original movies, and therefore stealing? Correct?